What are the Causes and Treatment of Central Retinal Vein Occlusion? Central retinal vein occlusion (CRVO) refers to a medical condition of the eye where the main vein of the retina has become blocked. 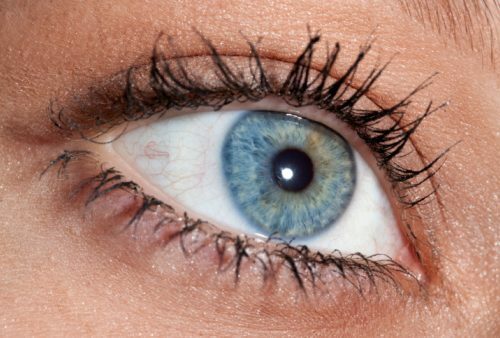 Much like other organs of the human body, our eyes also require a constant supply of oxygenated blood supplied by arteries to maintain its function. When the maximum amount of oxygen has been extracted from the blood, it has to be funneled out in an efficient manner and is done so via our veins, which return deoxygenated blood back to the heart and lungs to be oxygenated once again. When a vein of the eye becomes blocked or occluded, blood and fluid begin to back up and spill out into the retina. This can lead to macula swelling (a small but important area in the center of the retina needed to see details of objects clearly), affecting central vision. Additionally, without proper blood circulation, nerve cells may begin to die, further compromising proper eye function. One of the most significant factors leading to the development of central retinal vein occlusion, as over 90 percent of all cases occur in patients over the age of 55. Poorly controlled high blood pressure may predispose you to the development and also the occurrence of central retinal vein occlusion. It has been found that up to 73 percent of patients over 50 years of age, as well as 25 percent of younger patients with the condition, have high blood pressure. Having total cholesterol number >6.5mol/L has been associated with the development of central retinal vein occlusion in about 35 percent of patients, no matter their age. A chronic disease characterized by high blood glucose levels (hyperglycemia). High blood glucose levels are thought to be present in approximately 10 percent of people age 50 and over and is believed to be associated with the higher prevalence of diseases such as high blood pressure, which is present in about 70 percent of all cases of type 2 diabetes. One of the most common types of birth control used in young women and is the most common association with central retinal vein occlusion. Having increased pressure within the eye itself is associated with an increased incidence of central retinal vein occlusion, especially when the site of obstruction is at the edge of the optic disc. A common cause of increased intraocular pressure occurs with open-angle glaucoma. An increased incidence of central retinal artery occlusion is associated with smoking; however, studies have shown inconsistent results. Abnormal plasma proteins (e.g. myeloma, Waldenström macroglobulinemia). Ischemic CRVO: Can lead to severe damage to the retina and blindness as a result. This is because the central artery and vein are the sole sources of blood supply and drainage for the retina. It is estimated that about 19 percent of patients with CRVO have the ischemic type. Non-ischemic CRVO: Considered a milder form of the disease but it may progress to an ischemic CRVO. It is estimated that about 81 percent of patients with CRVO have the non-ischemic type. What are the symptoms of CRVO? Central retinal vein occlusion symptoms are often sudden and painless. Symptoms of CRVO can become worse over a matter of hours or days. The sooner you are evaluated by a doctor, the more favorable the diagnosis. Also read: Visual snow: Why there is snow or television-like static in your vision? What are the complications of CRVO? Macular edema: Also known as inflammation of the macula, the middle part of the retina that helps with making images appear sharp. Swelling of this part of the eye can blur vision or lead to vision loss caused by cystoid macular degeneration and permanent central scotoma. Neovascularization: This is a condition whereby abnormal vessels develop in the retina. Abnormal vessels can leak into the vitreous (fluid inside the eye) and cause floaters. In severe cases, the retina can become detached. Neovascularization can be associated with ocular ischemia and background diabetic retinopathy. Neovascular glaucoma: Due to the formation of new blood vessels in the eye causing a painful increase in pressure. vessels through mechanical force or the hemorrhage of pathological structures. Macular degeneration: Characterized by a gradual loss and blurring of a person’s vision, typically at advanced ages. Patients may also experience distortions in straight lines appearing wavy. If you are unfortunate enough to experience sudden vision loss in one or both eyes, it is imperative to see a doctor right away, preferably an ophthalmologist (eye doctor). While CRVO is a relatively poorly defined condition, there are several symptomatic presentations that will clue your doctor into the diagnosis. Patients with CRVO will often complain of mild, often transient episodes of blurring of vision characteristically worse when waking. Once the doctor has completed their initial evaluation, the following are other possible tests they may consider necessary. Fluorescein angiography: Use of a special camera to take a series of photographs of the retina after a small amount fluorescein (yellow dye) is injected into a vein in your arm. The fluorescein travels to the retinal vessels, showing any abnormalities. Unfortunately, there is no particular medical treatment of central retinal vein occlusion. However, some studies have suggested that an oral inhibitor of platelet and erythrocyte aggregation, and hemodilution treatment to lower blood viscosity, may be of some benefit. The treatment method chosen will often depend on the patient’s unique situation and health status. The amount of damage done generally dictates which options are available for use. The goal of treatment is to keep vision stable and preventing further swelling of the macula. The follow-up period is often considered the most significant form of therapy as much of CRVO management is aimed at preventing its progression to complete occlusion. This may include avoiding dehydration and improving intraocular pressure to improve blood perfusion to the affected eye. Patients are often instructed to contact their doctor if their vision deteriorates, as this may indicate the development of significant ischemia. The follow-up period usually lasts 18–24 months, but may depend on a patient’s own unique presentation and disease course. Experiencing a sudden loss of vision can be a scary situation. If you or anyone you know happens to find themselves where CRVO is the most likely cause, seek medical attention immediately. Vigilance and the confidence that your doctor will do everything in their power to help you regain any sense of normalcy will bring you solace in this situation. Hypertensive retinopathy: Is your blood pressure stealing your vision?